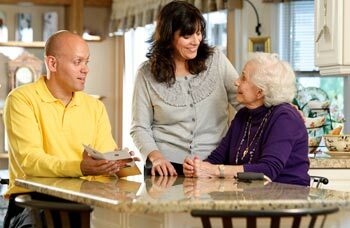 Nascentia Health Options will develop an individualized plan of care that best meets your home care needs. After a managed long-term care consultation, a Nascentia Health Options care manager will begin to formulate your managed long-term care plan services in collaboration with your physician. Your care manager will begin to develop an individualized home care plan designed to accelerate recovery and maintain independence within the comfort of your home. In addition to managing your specific case, each clinician serves as a health educator, advocate, and community resource specialist to meet individual requirements. Nascentia Health Options believes that all members, regardless of age, condition or illness, deserve the best possible care. We feel that an important step in obtaining that care is through a care manager. Your care manager will assess, plan, implement, monitor and evaluate various long-term care options and services to meet your individual needs. Thank you for choosing Nascentia Health Options. We care about your health, and we look forward to helping you develop a managed long-term care plan that will help you stay safely at home. To learn more, contact Nascentia Health Options or call us at 1-888-477-HOME (TTY/TDD: 711) and one of our caring, friendly representatives will be happy to assist you.